On a number of occasions in the past, I have raised the issue of high hedges following concerns from West End residents about the lack of adequate legislation to help tackle the problem of overly high hedges, over-shadowing, etc. 1 Are all Trees and Shrubs Covered by the Act? No. The Act only relates to high hedges. 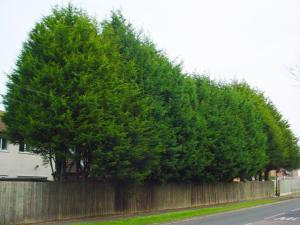 To constitute a “high hedge” the trees and/or shrubs must firstly constitute a hedge. The Act does not define a “hedge” but the Oxford English Dictionary defines a “hedge” as “a row of bushes or low trees (e.g. a hawthorn, or privet) planted closely to form a boundary between pieces of land or at the sides of a road”. If the trees or shrubs that are causing you a problem are not a hedge then you cannot make an application under the Act. It will be for the investigating case officer to decide whether trees planted closely together form a hedge, or not. If they are not a hedge then you cannot apply for a High Hedge Notice. The Act specifically states that a single tree or shrub cannot constitute a high hedge. 2 What is a “High Hedge”? c – forms a barrier to light. 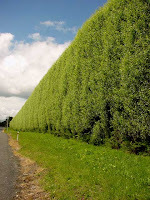 3 I’ve heard that only hedges made up of certain types of trees will be covered, is this true? No. All types of hedge – whether they be made up of evergreen, semi-evergreen or deciduous are covered by the Act. However, the hedge must be over 2 metres tall before it can begin to be considered a high hedge – but not all hedges over 2 metres will automatically be termed a ‘high hedge’. 4 What if the trees/shrubs are covered by a Tree Preservation Order (TPO)? The existence of a TPO does not prevent action being taken but it will be taken into account by the Council is determining the application. 5 Who Can Make an Application? To make an application you must be the owner or occupier of a domestic property and you must consider that the high hedge, on land owned by another person, adversely affects the reasonable enjoyment of your property. 6 Do I need to do anything before I make an application to the Council? Yes. An application to the Council is seen as a last resort. Before making an application, you must be able to provide evidence to demonstrate to the Council that you have tried to reach a solution with the hedge owner. The Council will expect this evidence to include a recent attempt at negotiation in the light of the coming into force of the Act (the coming into force of the Act may encourage hedge owners to take a more accommodating stance). It is difficult to state what evidence will be sufficient but exchanges of letters/emails and/or attempts at mediation would constitute such evidence. It is not sufficient to simply state that your neighbour is unapproachable and provide no evidence of attempts to resolve the situation. 7 What if I do not know who owns the land on which the hedge is situated? You must take all reasonable steps to identify the owner of the land and record these in any application you make. These steps could include contacting Registers of Scotland and/or Companies House. 8 I have tried to reach an agreement with my neighbour, but haven’t been able to. What do I do next? If you’ve been unable to reach an agreement over the hedge, at that point you will be able to submit an application to the Council. You will need to submit a completed application form, details of the hedge and how it affects you and evidence of attempts to resolve the situation along with a fee of £400. If you cannot demonstrate that you have taken all reasonable steps to resolve the dispute or the Council considers that the application is frivolous or vexatious then the Act obliges the Council to dismiss the application. 9 What happens after I’ve paid the fee and the application is lodged? The Council will notify the hedge owner that an application has been made, invite them to make representations (which will be copied to you) and then someone from the Council will go out to the property to assess the hedge, and its impact on the reasonable enjoyment of your property. 10 Are there any circumstances where the fee might be partially refunded? Yes, if an application is dismissed because you cannot demonstrate that you have taken all reasonable steps to resolve the dispute or the Council considers that the application is frivolous or vexatious or if the application is withdrawn within 28 days of submission the Council will refund half the fee (£200). 11 Who decides the application? Under its Scheme of Delegation the Council has decided that the Director of City Development will determine all applications under this Act. 12 The Council has decided to take no action either because it considers that there is no adverse impact or that there is an adverse impact but no action should be taken but I disagree. What can I do next? If you disagree with the decision of the Council, you will have the right of appeal to the Directorate of Planning and Environmental Appeals within 28 days of being notified of the decision. 13 The Council has determined that action should be taken. What happens next? The Council will communicate their decision to both parties, and the hedge owner will be given a deadline by which to meet the terms of the high hedge notice. If they fail to take the remedial action on the hedge in that time, the Council can arrange for the work to be carried out. The Council will have the power to recover the cost of any work carried out from the hedge owner. 14 I am the hedge owner. The Council has said my hedge needs to be cut back but I disagree. Can I appeal? Yes. Both sides have the same right of appeal to the Directorate of Planning and Environmental Appeals within 28 days of being notified of the decision. Both parties can only appeal once. 15 I live in a property which suffers from lack of light due to a high hedge, but the hedge is not on land immediately adjoining my property. Can I still make an application? Yes. The hedge does not have to be on land immediately neighbouring the property of the person making the application. It just needs to be a significant barrier to light affecting the reasonable enjoyment of the property. 16 Does the Act cover issues such as problems caused by pine needles blocking drains, leaf fall and root damage? No. Where plant life is causing damage to a property, there are existing civil methods which exist to address these issues. This Act is designed to deal with the problems resulting specifically from hedges creating a significant barrier to light. 17 Will the Act be reviewed? Yes. The Act contains specific measures to ensure that it will be reviewed within five years. This includes a review of the definition of a high hedge, so that changes can be made if required. Please contact 433105 or development.management@dundeecity.gov.uk if you have any further questions. Views are being sought on how neighbourly disputes over high hedges can be resolved more effectively. This could include encouraging the inclusion of hedge height limits in property title deeds, better mediation options, or examining the case for a new law on the issue. “High hedge disputes should be a relatively trivial matter, with those involved resolving things with a simple neighbourly chat. “But for those involved, the issue can sometimes be far from trivial and we have seen from recent cases that such disputes can, in a relatively small number of instances, get out of hand. “What starts off as an amicable discussion can often spiral out of control leading to confrontation and antisocial behaviour in our communities. “Thankfully, it appears there are only a relatively small number of people affected by this, but with a marked rise in correspondence from the public on this we want to examine the issue and see if anything more can be done. “Of course, there is existing legislation in place to deal with any dispute which does get out of hand, but is there anything we could do to stop hedge disputes getting to that stage? “The answer may be that existing powers need to be strengthened to deal with the various issues at hand, or that there are options other than legislation, but it is almost a decade since this was last looked at by a Government in Scotland, and we want to ask the question. “I recognise the misery that some people feel as a result of disputes with their neighbours about high hedges and welcome this consultation paper, which takes a sensible look at a wide range of possible options. “Further I encourage local authorities to respond in order to help provide better clarity about the scale and nature of the problem and inform decisions about the most appropriate way forward. “Clearly helping neighbours in our communities to avoid such disputes in the first place would be the best solution and we are working in partnership with the Scottish Government to help prevent all forms of antisocial behaviour in Scotland”. “We are campaigning on behalf of over 250 people affected by uncontrolled and poorly maintained trees and hedges. In our experience the problem arises because under current law there is simply no requirement for a hedge grower to consider the impact his actions are having on his neighbour. The consultation period will last for three months, concluding on November 13. The responses will be analysed and a full report of the analysis will be published in early 2010. The Courier this morning features an article about the issue of high hedges and comments from both myself and Bailie Rod Wallace, the Conservative Group Leader, supporting any renewed moves by the Scottish Parliament to look at this issue. I have received a number of concerns from residents in the past about this issue but where amicable resolution is not possible, legislation is currently inadequate. 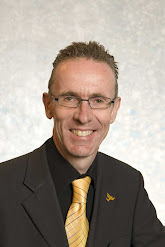 During the last parliament, Scott Barrie, the former Labour MSP, did attempt to resolve matters through a Private Members’ Bill. This would have brought in an arbitration mechanism, which would be a good step forward. If you click on the headline above, you can read the consultation paper on the Bill. At the time his Bill was lodged, I wrote to the then Dundee West MSP Kate Maclean to seek her support for what Scott Barrie was seeking to do, and she was indeed supportive. Unfortunately, the Bill did not make it to legislation. Mary Scanlon (Highlands and Islands) (Con): To ask the Scottish Executive when the review of its antisocial behaviour strategy will be completed and whether the nuisance caused by high hedges will be addressed in the review. Fergus Ewing: As part of the review we will be considering the use, effectiveness and range of existing measures available to local agencies to tackle unacceptable behaviour, including services relevant to high hedge disputes, such as mediation. We intend to publish the findings of the review by the end of 2008. Additionally, the Scottish Government is exploring options, including legislative ones, for supporting a means of last resort for resolving disputes about high hedges. This will be done in parallel to the national antisocial behaviour review. In doing so, we will bear in mind consultation on the issue by the previous administration, the provisions in place in England and Wales, and Scott Barrie’s bill, which fell at dissolution of the last session of the Parliament. Mary Scanlon (Highlands and Islands) (Con): To ask the Scottish Executive what advice it can give to householders affected by 40-feet high trees or hedges close to their homes. Fergus Ewing: Services already provided by community safety partnerships, such as mediation, can be very effective in dealing with a range of neighbour disputes, including those about high hedges. However, the Scottish Government is giving active consideration to how best it could support the provision of a suitable means of last resort for resolving cases in which all other measures have been exhausted. The fact that the Scottish Government is exploring options, including legislative ones, for supporting a means of last resort for resolving disputes about high hedges is to be welcomed. I’ll be keeping an eye on progress on this matter.